Got enough socks? Don’t need another colourful sweater? Can’t afford an iPad? Below are a few wine-themed ideas, from serious gifts for the dedicated wine lover, to desirable stocking-fillers. All are bound to go down a treat on the 25th. OK, I confess this is the one I might choose for myself. 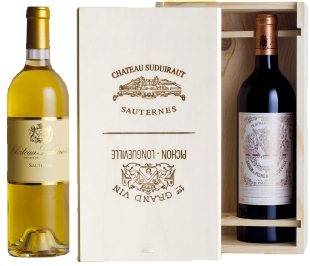 The presentation of this twin pack of two of Bordeaux’s greatest wines is beautiful: a finely crafted wooden case with each Château’s name branded into the lid, it is pitched as the “ultimate Christmas meal winebox” and I wouldn’t argue with that. Containing a bottle of the 2004 from Château Pichon Longueville Baron (2eme Cru Pauillac) and the 2009 from Château Suduiraut (1ere Cru Sauternes), both wines are drinking beautifully now. It would be hugely indulgent to serve the Pichon with the Christmas turkey or rare roast beef, but its classic cedary fragrance, deep fruit and now softening tannins would work well with either. The Suduiraut is one of the stars of the vintage and has real opulence and creaminess, meaning it would cope with a variety of even very sweet desserts, or of course some blue cheese or foie gras. This most indulgent wine box is available from Wineandco.co.uk priced £135.59. 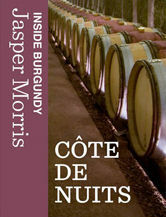 Jasper Morris’s magisterial Inside Burgundy was published, to great acclaim, in 2010. The fruit of over 30 years’ worth of insider knowledge, the book soon became an essential source for those interested in exploring the region’s wines in greater depth – with one caveat. Anyone intent on actual physical exploration of Burgundy would have to tote two kilos of book as they travelled the D974, the road that winds its way through the Burgundian vineyards. Now, publisher Berry Brothers & Rudd has taken the bold decision to reissue the book in five volumes specially adapted for the iPad platform. Wine-pages’ columnist Natasha Hughes recently evaluated the ne first instalment – on the Côte de Beaune – and says “I love a traditional book as much as (or possibly more than) the next person, but the interactivity afforded by this iPad version certainly brings something extra to the party. While a book might easily offer the reader glorious full-colour photos, it can’t feature interactive maps or videos that allow Morris to explain the quality factors that pertain to certain vineyards in greater depth. As you read through the text, you can also add your own comments on vineyards or producers of interest, or even include tasting notes, allowing you to add personalised layers of complexity to the already thorough text.” Natasha also comments that the videos focus on the vineyards, whilst she would like to see Morris, who has a long-term relationship with the region’s best producers, interview them in their own cellars. Berry Bros’ say that idea that may well be explored in the volumes to come. £14.99 from iTunes app store, whilst the book is £50 from Berry Bros. & Rudd. 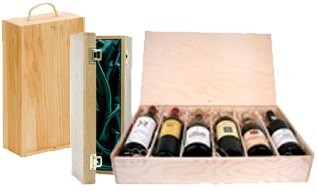 Another useful source of a gift accessory that could prove inspirational, excellent merchant Cadman Fine Wines also sells a whole range of empty wooden gift cases, holding from one to half a dozen bottles, with luxury options such as hinged oak boxes with linings available too. Wine is not included, but you can of course buy something to fill your boxes from Cadman or indeed supply the contents from your own cellar or elsewhere. Prices start at just £4.99 for a single bottle box, to £14.99 for a six-bottle wooden case with sliding lid or that luxury single-bottle version. See cadmanfinewines.co.uk. If wine accessories and stocking fillers are on your shopping list, the long-time sponsor of wine-pages.com, The Wine Gift Centre, provides not only plenty of choice but a first class, friendly service too. Run by the passionate Paul and Maddie Fenner, every item they sell is personally chosen by them for quality and value. One that would certainly brighten up Christmas morning is the fun, limited edition pack of two Christmas corkscrews at £15.00. The Wine Gift Centre is also the importer of the Brix range of Chocolates for Wine. I’ve carried out my own extensive taste tests matching these bars of high-grade chocolate that are specifically made to match different wine styles and am a huge fan. There’s an attractive gift pack containing four Brix bars available, and on sale for £15 instead of £18 at the moment. Another intriguing stocking-filler idea is the Decantus wine aerator at £37.99. Finally, Maddie Fenner has tipped me off about their attractive looking new glass decanters, which she tells me are made in the same factory as Spiegelau. The ‘Selection’ shown right is the most popular seller in the range at £36.00. Fine wine specialists Bordeaux Wine Investments (BWI) are making a big thing of their stocks of mature vintage Ports this Christmas with a wide range of top years from the big houses on offer. Pick up some fine Stilton which is so easy to find at the moment and add a bottle or two from this selection for a perfect and upmarket gift that will be so much better than some of the pre-packed Port and Stilton selections that appear in supermarkets at this time of year. 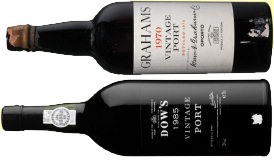 From the 1985 Warre or Dow at £45.00, to the 1970 Graham’s at £90, the prices are keen. bwiltd.co.uk. On the subject of decanters, don’t forget that Riedel UK is offering customers of its online shop £20 worth of gift vouchers with every £100 you spend on it crystal glassware from the Riedel, Speigelau and Nachtmann ranges – but the offer ends 9th December. 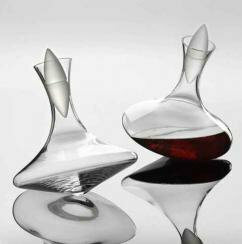 They also have up to 37.5% off of a range of gift sets of glasses and glass and decanter packs. Details on riedel.co.uk. Vinopolis, London’s “wine and spirit tasting experience,” on the Southbank has just had a multi-million pound refurbishment. Especially for Christmas they are offering the ‘Vinopolis in a Box’ gift experience which includes gift vouchers for your own choice of tasting experience at Vinopolis and a bottle of wine, champagne or spirits. The gift boxes can be tailored to your requirements and range in price from £75 – £120, depending on the value of your chosen bottle. There is also a dinner package, which includes two taste experience vouchers, a bottle of whatever tipple you fancy and a three course meal for two in one of Vinopolis’ five restaurants. It comes in at between £190 – £250. Gift vouchers are also available for each of Vinopolis’ three “tasting journeys,” ranging from £27 to £43, which they say also “makes a great day out with the girls.” Who am I to say? All of the above are available from vinopolis.co.uk. And it might sound expensive at £130 per ticket but don’t forget the mouth-watering Champagne evening I and my colleagues in The Wine Gang are hosting on Tuesday 11th December in central London: not only is there a tutored tasting of 10 of the world’s top Champagnes costing up to £250 per bottle, but there’s delicious finger food being served and a goodie bag to take home that is worth almost as much, or even more than, the ticket price. Each goodie bag will feature books, magazines, crystal Champagne flutes and a bottle of Champagne worth between £40 and £110. Full details from thewinegang.com.